Just a few days ago we saw Durability tests performed on Nokia 5 by Zack form JerryRigEverything. 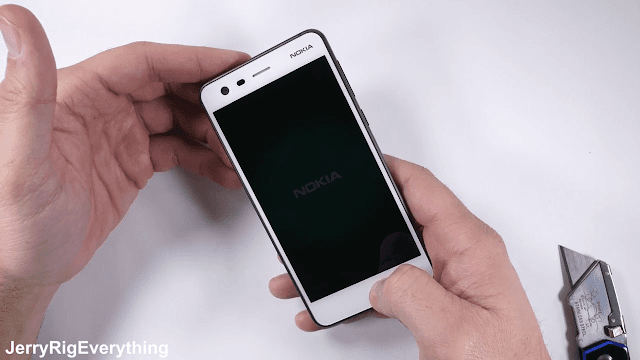 Now, we get to see Nokia 2, the lowest priced Android smartphone from Nokia Mobile undergo the Scratch, Bend and Burn tests of JerryRigEverything. Will Nokia 2 survive the durability test? 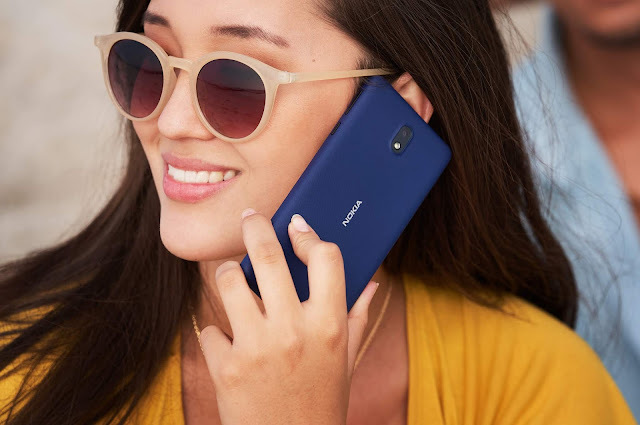 Of course, Nokia 2 survives the durability test with ease and this shows that HMD Global has not compromised with the build quality even on their lowest priced smartphone. Durability tests were performed on a Pewter/White Nokia 2. The white polycarbonate back was used to draw a Snowman with a Razor blade at the Polycarbonate back. The back isn't scratch proof which is to be expected from a polycarbonate back. The entire front of the phone is covered with Gorilla Glass 3 and is scratch resistant. The entire frame of the Nokia 2 is made out of metal and the buttons on the side are made out of metal too. Another interesting thing to notice is that Nokia 2's rear camera is covered with glass, unlike the Nokia 3's camera which was covered by a plastic lens which can easily be scratched. This is a tiny but a very useful improvement. Nokia 2 also survived the Burn test as it uses a type of LCD display and the pixel come back to normal when they are moved away from heat. Now coming to the bend test, it seemed like Nokia 2 won't survive this torture. Nokia 2 bent from the middle but when pushed again from the other side the phone was back in its normal shape. Overall the phone was intact and working even after such torture treatment. There is a reason why many say "Nokia's are built to last" and Nokia 2 stays true to it. You can also check out the Durability Tests of Nokia 3, Nokia 6, Nokia 5 and Nokia 8 done by JerryRigEverything.